Submit your photo here. Comment or upvote on photo pages. Search via photographers' names. More improvements coming! To help, please donate. Nikon DSLR, 200mm, ISO1600, #staradventurer EQ, 20x50sec images. Stacked in Sequator. TIF cropped & finalised in Photoshop. Fast moving Comet C/2018 Y1 Iwamoto as it travelled under Messier objects M95 M96 M105 (the galaxies at the top of the image) just down from the constellation Leo. 10-Feb-2019 Taken from Cowal, Argyll, Scotland. DSLR@200mm, ISO1600, #staradventurer EQ, 20x50sec images stacked. Messier objects M95 M96 (spiral galaxies) M105 (elliptical galaxy) are visible if you zoom in to top of the image. 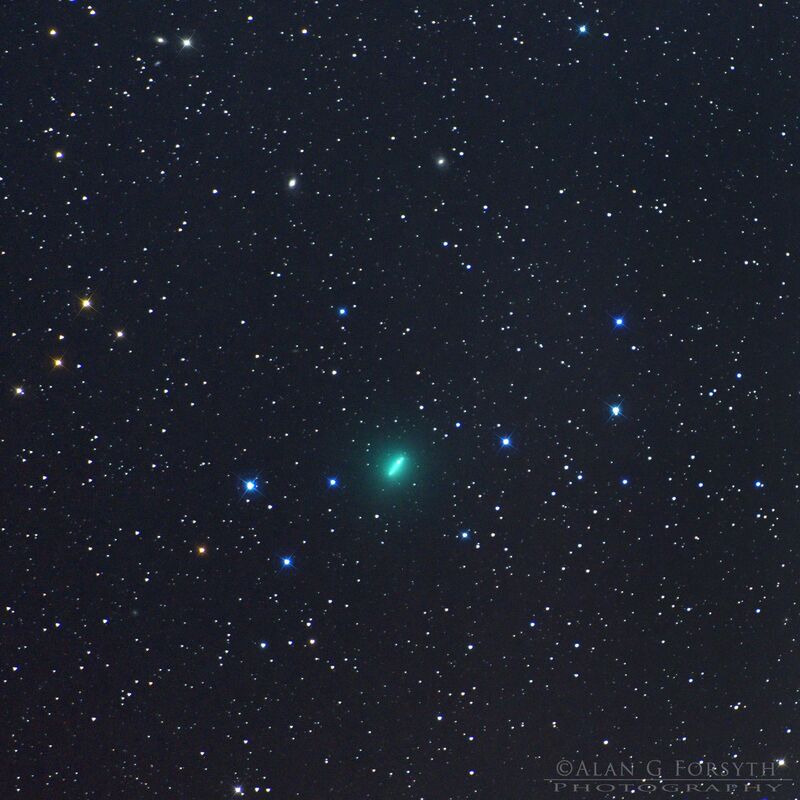 This fast #comet can sure shift through the skies in the 20minutes of this combined exposure!